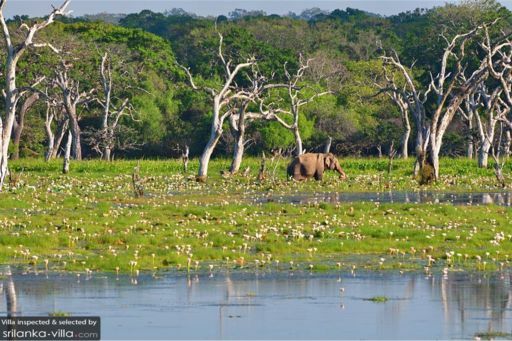 Yala combines a strict nature reserve with a national park. Divided into 5 blocks, the park has a protected area of nearly 130,000 hectares of land consisting of light forests, scrubs, grasslands, tanks and lagoons. Two blocks are currently opened to the public. Yala was designated a wildlife sanctuary in 1900 and a national park in 1938. Yala is home to 44 varieties of mammal and 215 bird species. Among its more famous residents are the world’s biggest concentration of leopards, majestic elephants, sloth bears, sambars, jackals, spotted dear, peacocks, and crocodiles.